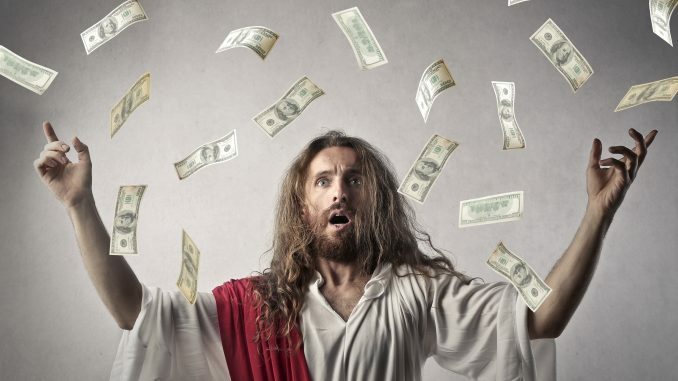 LAS VEGAS, NV—Jesus is answering prayers today, the Associated Press reported, citing first-hand accounts that Christ made it rain in drought-stricken South Sudan, as well as in Sweat, an exclusive Las Vegas club. Officials have reported countless complaints from the locals regarding the dearth of drinks, and eventually, residents of both locales petitioned our Lord and Savior for a merciful end to their respective droughts. South Sudan typically gets about eight inches of precipitation a year, while the VIP club experiences about twelve inches of Hennessy during the same period. The parched locals were thrilled to find their prayers had been answered with reports indicating that celebrations ranged from malnourished children playing in the rain to coeds getting sprayed with Cristal. Jesus did not return our calls for comment on this story, but a spokesman informed us he was busy answering the prayer of six-year-old Charles Bosa of Jupiter FL, who asked that his chocolate Easter Bunny be made of solid chocolate and not be one of those lame hollow ones.